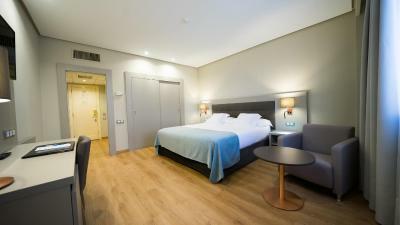 Lock in a great price for Mercure Carlton Rioja – rated 8.6 by recent guests! The room is big even with a corridor. 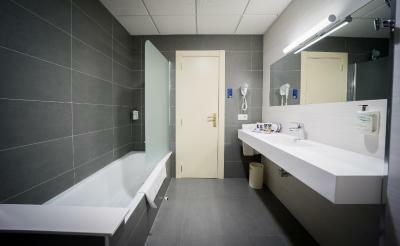 Big bathroom, high quality. 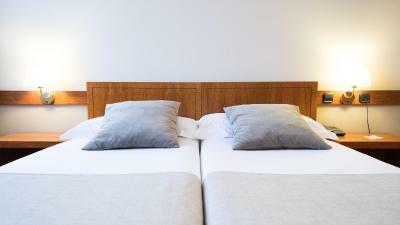 Comfortable mattress and bedclothes. The room is very warm. We slept one night from Saturday to Sunday in winter. 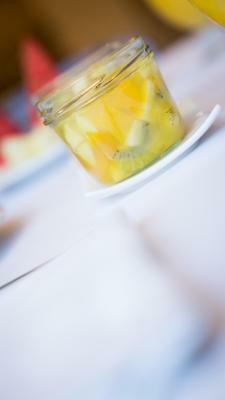 Sunday breakfast is delicious buffet , big variety of hot dishes, cheese, croissants, coffee, juices...fresh fruits. The chef came out to bring us some hot churros. Right in the center of the city! You can walk to the old part in a few minutes! 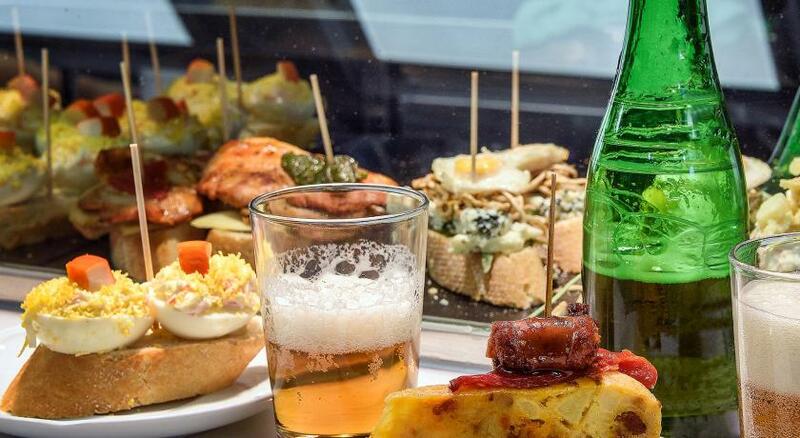 And enjoy all the tapas and wine! Has parking garage! The hotel is in the center of the city. They stored our bikes inside. 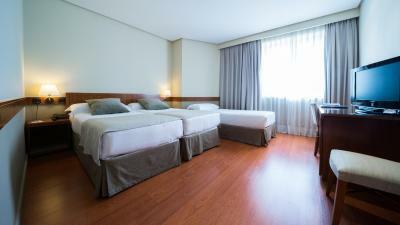 The room was very clean and the staff was friendly and helpful. Beautiful park close by. We did a Rioja wine tour while staying in Logrono due to the proximity to the wine region. Very comfortable room, well located. Comfortable beds, ac was perfect. A free wine glass at chec in. Friendly staff. Fantastic location, very comfortable. Excellent facilities. Enjoyable. 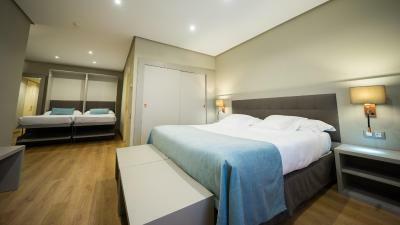 Mercure Carlton Rioja This rating is a reflection of how the property compares to the industry standard when it comes to price, facilities and services available. It's based on a self-evaluation by the property. Use this rating to help choose your stay! 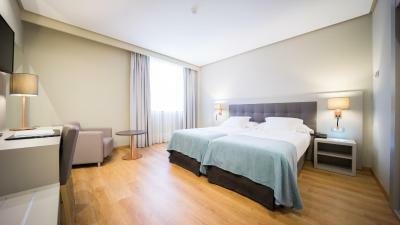 Located in the center of Logroño, the capital of the La Rioja region, Mercure Carlton Rioja is a functional hotel located 650 feet from Espolón Square. 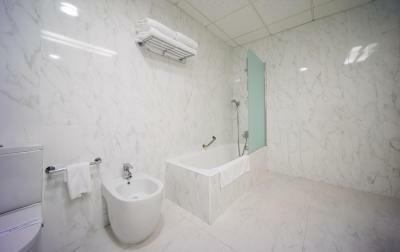 It offers free WiFi and classic-style rooms. 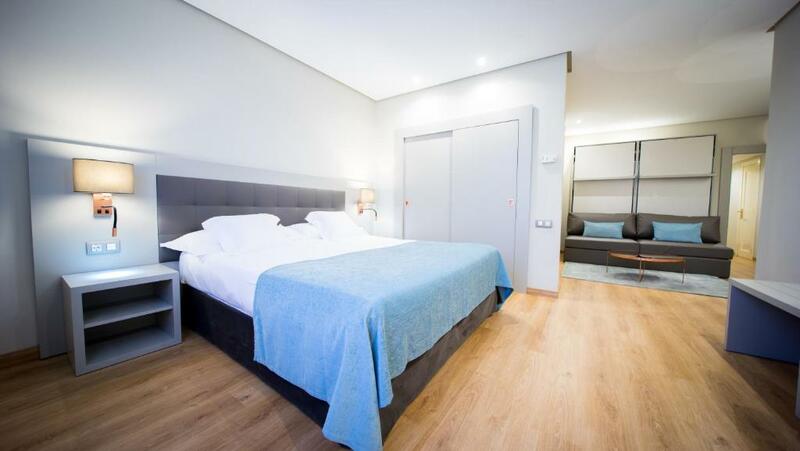 The Mercure Carlton Rioja offers spacious, air-conditioned rooms with a TV and mini-bar. The private bathroom is equipped with a hairdryer. 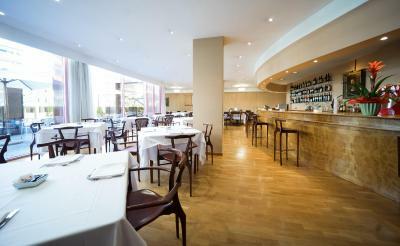 There is a restaurant at the Mercure Carlton Rioja, and guests can enjoy light meals in the café-bar. Room service is also available. The hotel operates a 24-hour reception with a tour desk where trips can be organized. Luggage can be stored for up to 2 months and, for an extra charge, it can be forwarded to another destination. 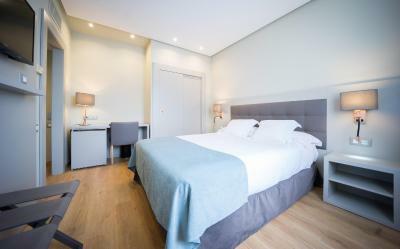 The hotel is a 5-minute walk from the cathedral in Logroño. Laurel Street, well known for its wines, is also a short walk away. 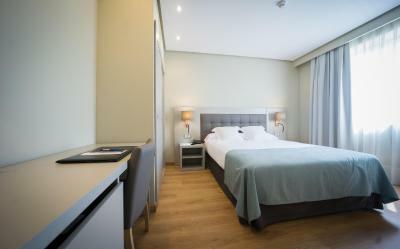 When would you like to stay at Mercure Carlton Rioja? 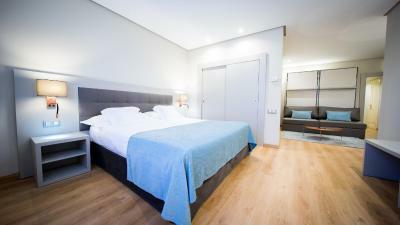 This single room has air conditioning, flat-screen TV and mini-bar. 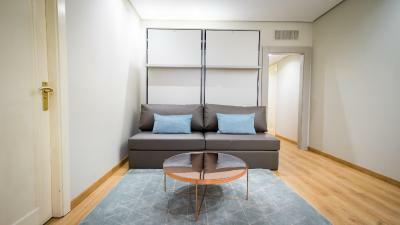 This suite features a sofa, air conditioning and mini-bar. It has a truly privileged location on the main street of the city. Taking a walk , a few minutes you reach the Jetty, the Cathedral of La Redonda and Laurel Street , well known for its wines. 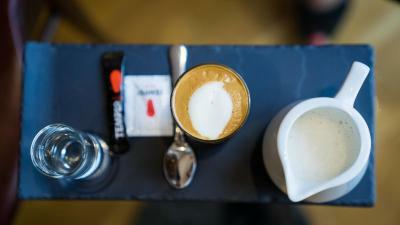 House Rules Mercure Carlton Rioja takes special requests – add in the next step! Mercure Carlton Rioja accepts these cards and reserves the right to temporarily hold an amount prior to arrival. Room temperature controls did not work. Comfortable clean room. Comfortable bed. Good location. Helpful staff, easy and free parking on the street round the corner (after 8pm on the Saturday through Sunday), really spacious room and bathroom, spotlessly clean and superb breakfast. Just wish we were staying a couple more nights to explore. The hotel was awkward to find as normally Mercure have a large sign identifying the hotel from other chains. We had to drive passed it twice as there is no stopping on the dual carriageway. It was a city center Hotel with lots of shops but not many restaurants close by. The hotel had underground parking at an extra charge. A complementary glass of wine in the bar on arrival, this was a nice gesture. Thinness of walls - I could sometimes hear the neighbours talking. Shower temperature was unstable. Size of room, especially the bathroom. Inclusion of amenities (toothbrush, etc.) Ease of checking in. Availability of car parking @ 16 eur per night.